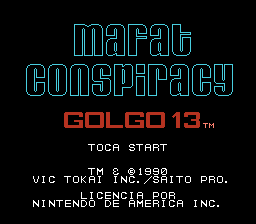 Mafat Conspiracy: Golgo 13 is an action shoot ‘em up game for the Nintendo Entertainment System. 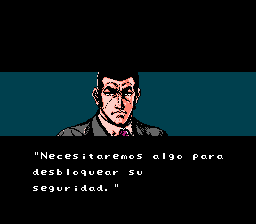 Based on a manga series, Golgo 13. 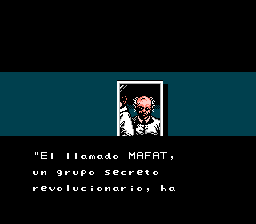 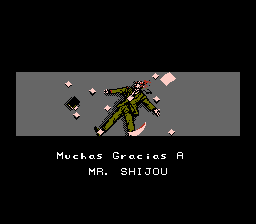 Translation to Spanish for “Mafat Conspiracy: Golgo 13″ for the NES. 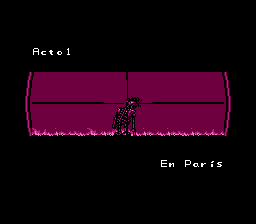 V1.1: Fixed MAFATS in intro.